It's been a long while since I have had a new wand to write about. 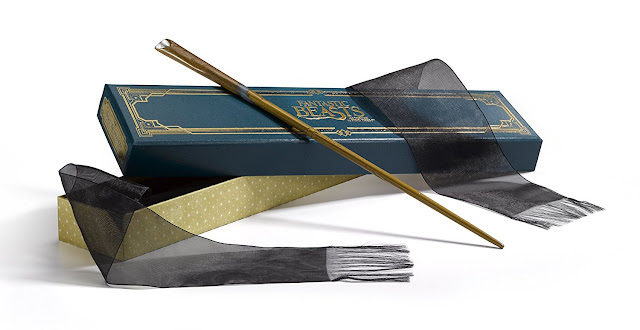 However, there's a new wizard in town and the folks at Noble Collection have created a wand for Fantastic Beasts and Where to Find Them's wizard Newt Scamander. It is an authentic prop replica, officially licensed and comes complete with a collector's box. According to the website Fandom, Newton Scamander’s wand was likely purchased from Ollivander's Wand Shop and was constructed from lime with a bone core and some shell at the end. It was of unknown length though the one offered here from the Noble Collection is 14 inches long. 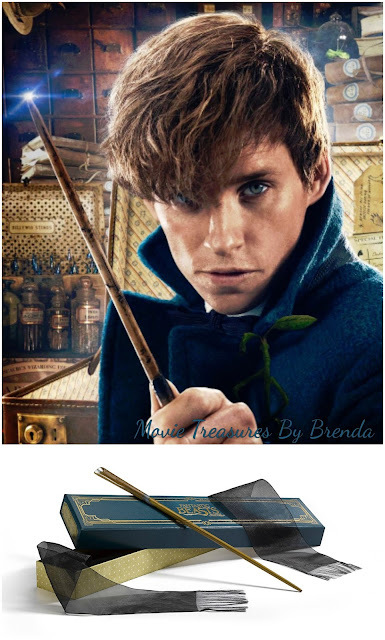 How exciting that Eddie Redmayne, who portrays Newt Scamander in the film, gave away wands to 6,000 fans at San Diego's Comic Con. Here's your chance to own one, too. 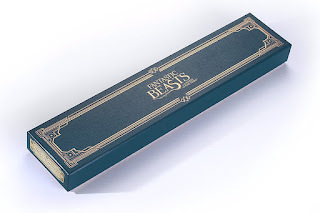 I would like to wave my wand and give you one but I am pure muggle so I cannot employ magic to obtain a wand for you and I definitely do not have the connections that Redmayne has in order to be able to give you one so you will just have to follow this link to Amazon to buy your own. Have you seen the movie yet? What did you think? Is there a wand in your future? Find Newton Scamander's wand on Amazon. More Noble Collection Harry Potter wands.